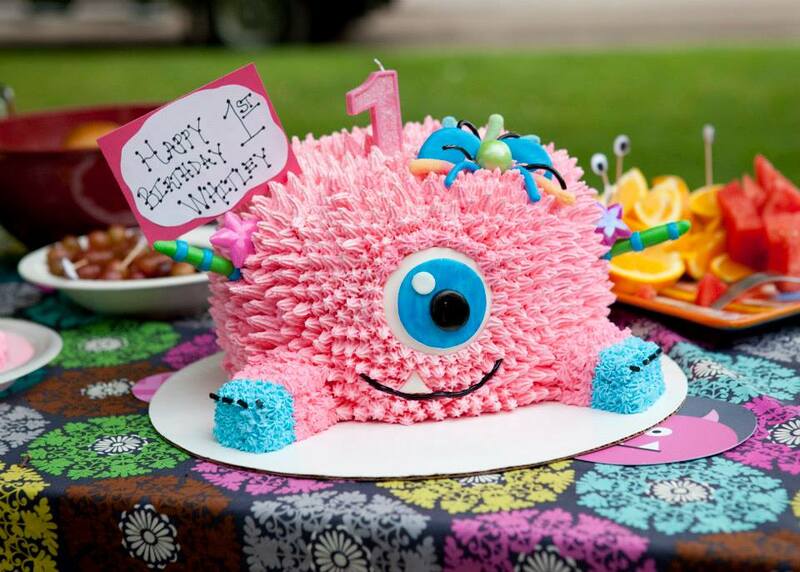 Girls’ Birthday Party Ideas: Monster Theme! 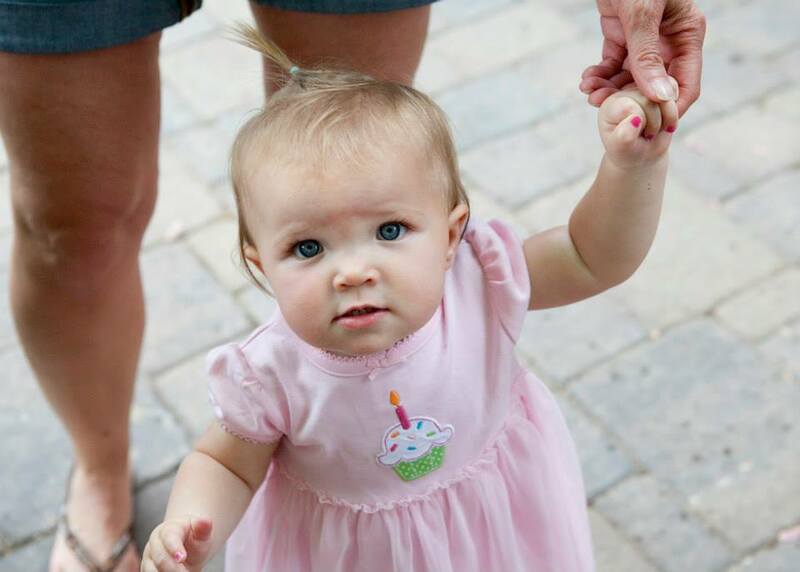 This little birthday girl, Whitley, is such a sweetie and can make your heart melt with just one look into those big blue eyes. Her parents joke that she can also be a little stinker, getting into mischief and keeping them constantly on their toes. 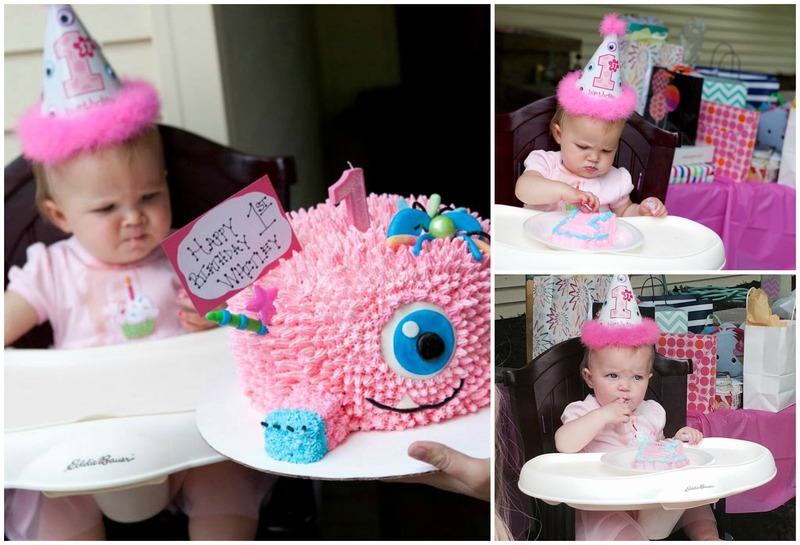 So, for Whitley’s 1st birthday party, her mom, Andrea, knew just which theme to go with – little monsters! Andrea picked out the My Little Monsters in Purple Kids Birthday Invitations and used pink and purple as the theme for her little girl’s birthday party ideas. To celebrate springtime in Minnesota, this first birthday party was held outdoors. The front door was decorated as a one-eyed monster and there were various tables set up for gifts, food, and areas for guests to sit. 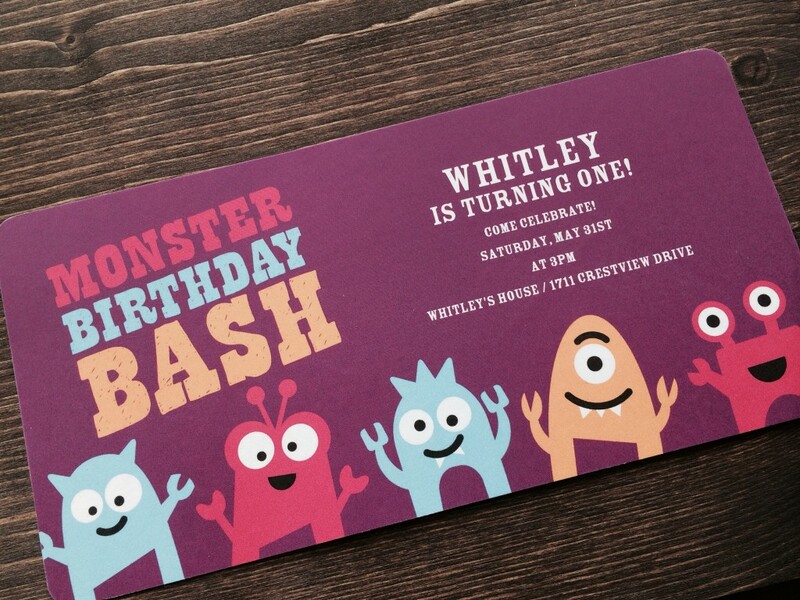 Andrea had ordered Monster Bash Kids Party Decorations and personalized them with pink to match the invitation. 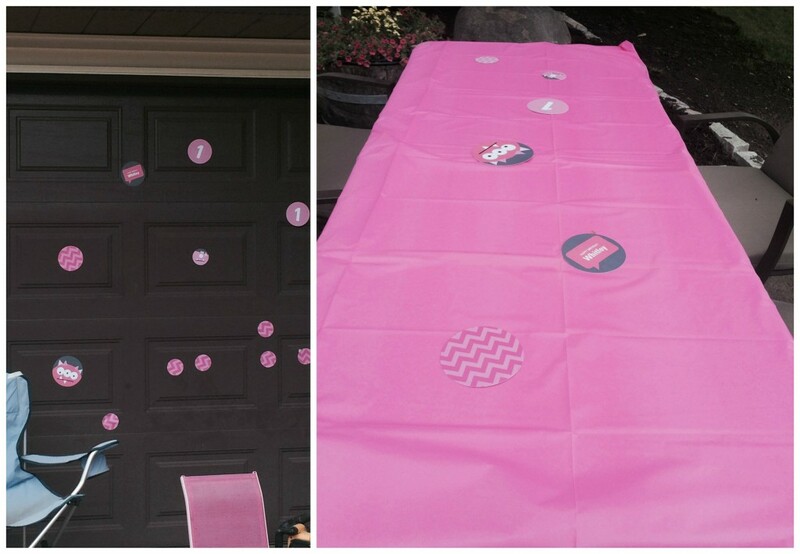 Big sister, Mylah (4), was in charge of sticking the party decor to the garage doors while Andrea stuck them to the tables. For food Andrea served sandwiches, salads and different types of fruit. 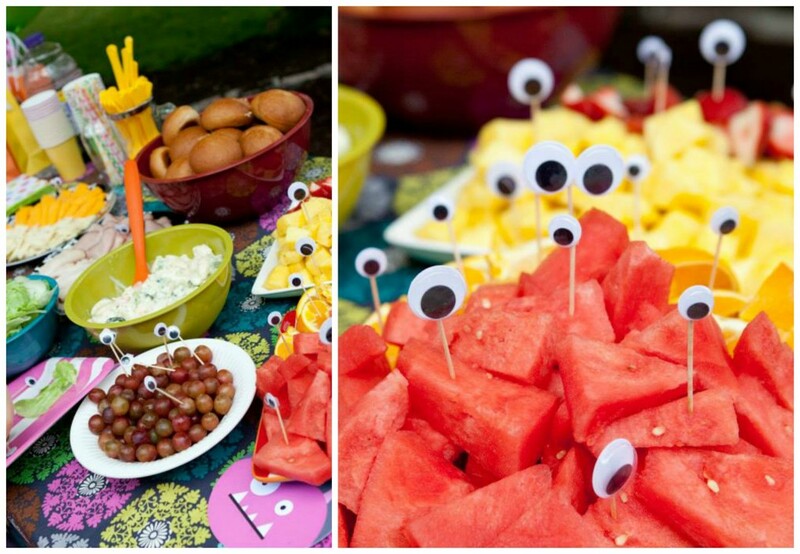 She added various sizes of eyeballs to continue the theme. The kids thought this was so funny! 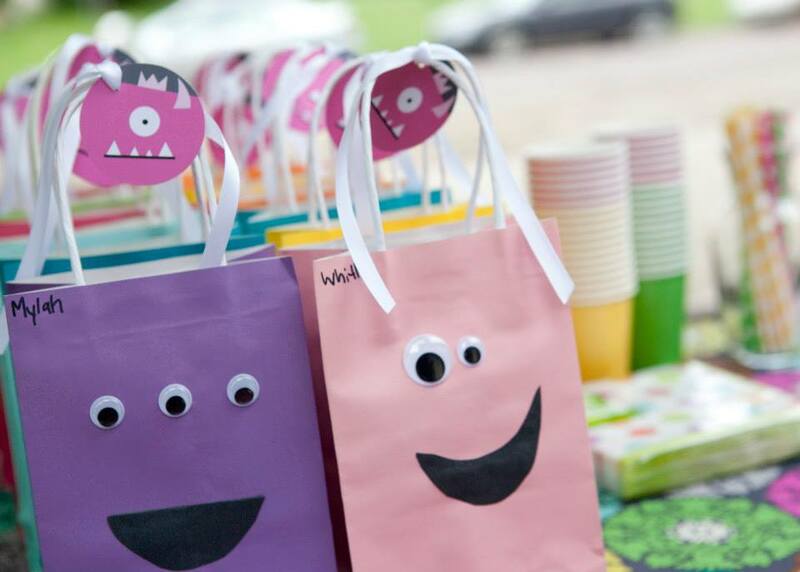 For the party favors, Andrea used colorful bags and attached the Monster Bash Kids Gift Tags. 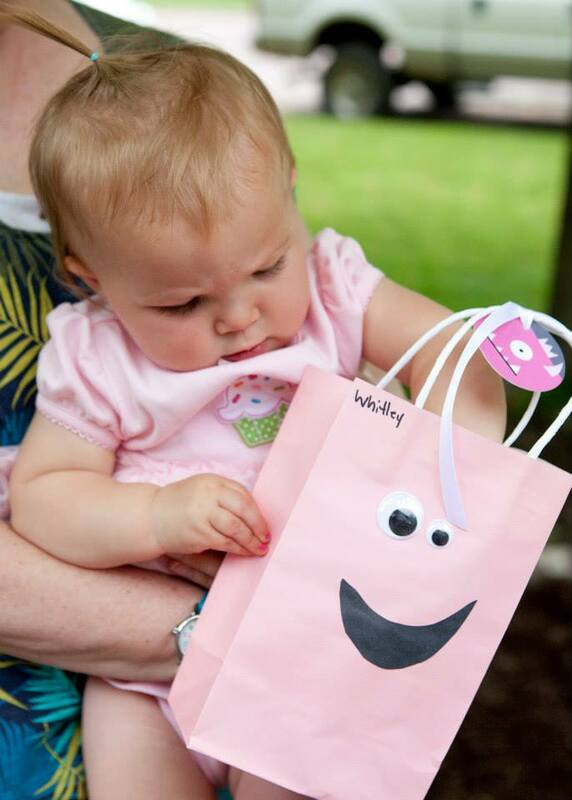 Inside the bag was an assortment of fun ideas for all ages to enjoy – bubbles, bouncy balls, candy and more. 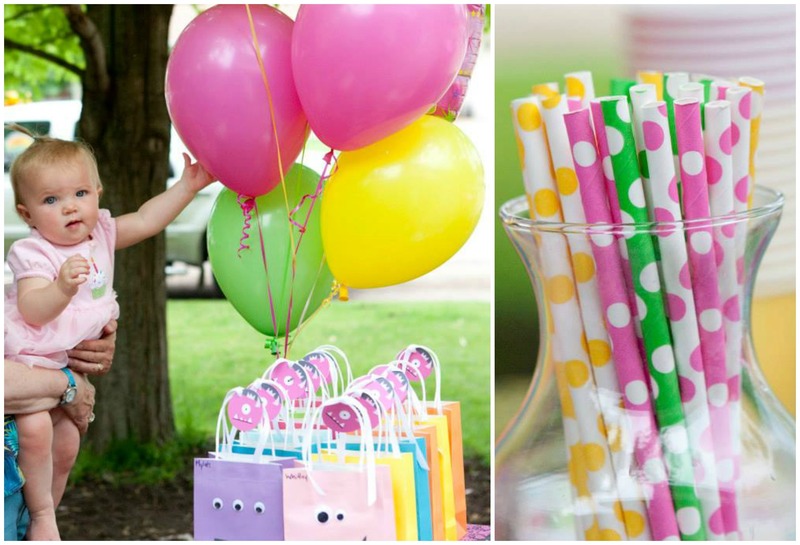 Colorful balloons were attached to the table along with colorful cups and straws to match the favor bags. Now the guests have arrived and everyone has eaten – time for cake. Andrea had her friend make a monster cake. It was amazing + delicious! 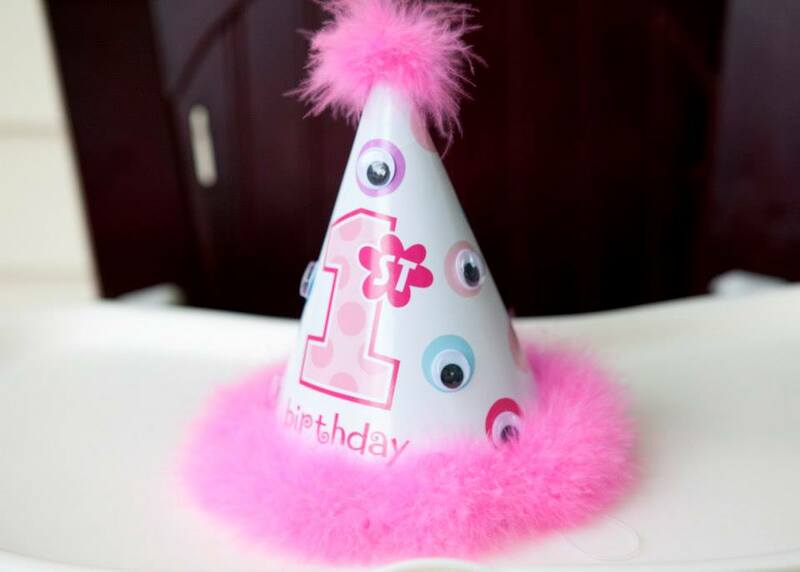 Whitley had a birthday hat with eyeballs attached and got her own cake to smash, but instead, she was very careful and enjoyed licking her fingers and watching everyone around her. After cake, Whitley crawled around with the other kids for a bit and then began opening her gifts! She had so much fun looking at all the news toys and clothes she received from her guests. What a fun party! For more kids birthday party ideas, be sure to keep reading our blog or start shopping for your kids birthday invitations to set your theme! This looks great! Fun birthday theme. Great! I’ts very extraordinary to use this kind of theme for children’s party, but I must say that you broke that kind of old story. 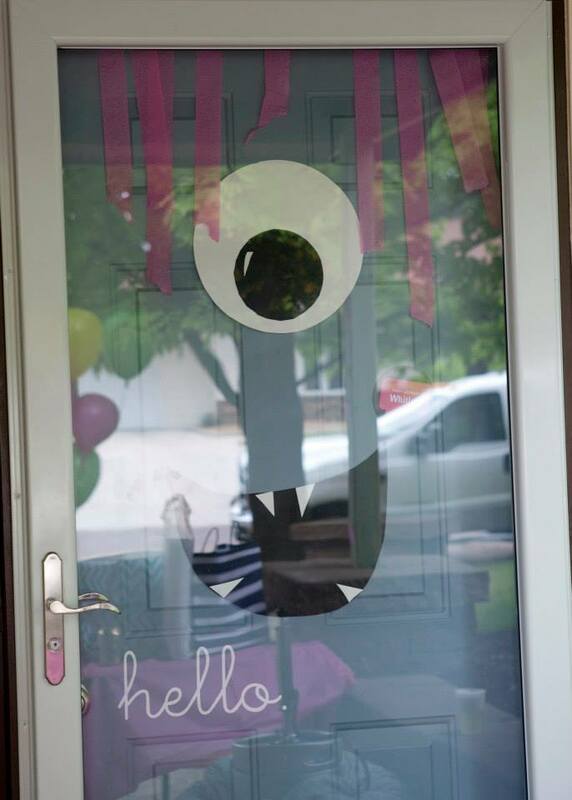 I really love the idea of putting a monster’s eye in the front door and most especially I was amazed with the cute monster cake. I want to try this out for my Nephew’s birthday.